Editor’s note: This article has been modified from its original form. In the original Abby included a discussion of some questions relating to Obama’s health care reform law. There was some confusion surrounding this aspect of the article, and, with Abby’s permission, the article was edited to focus simply on the Jaffe Memo. When I worked at Planned Parenthood, there was something that we were not allowed to talk about. If we didn’t talk about it, then maybe no one else would either. It was called the Jaffe Memo. In 1969, Planned Parenthood was asked by the government to produce some ideas to help with overpopulation. They did just that. 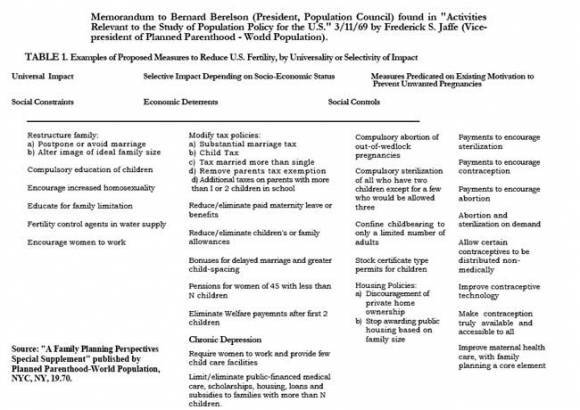 What is in the memo as a “solution” to overpopulation is astonishing. And, I’m sorry to say, it looks like the Jaffe Memo is starting to show its face in our culture. That is the memo, in its original form. Scary, isn’t it? What is scarier is that some of these things are happening…and they have begun to happen under Obama’s reign. This memo was put out just over 50 years after the first Planned Parenthood clinic was opened. We are now a little over 40 years out from the publication of this memo. Look what has happened in those 90 years. Abortion has been made legal and continued to increase. Planned Parenthood is a non-profit giant in this country (and others)…just last year they grossed $1 billion in revenue. They are pushing for no restrictions on birth control and abortion. And guess who is right alongside them leading the charge? Our Commander in Chief, Barack Obama. Don’t be naïve. This memo is still Planned Parenthood’s ultimate desire. Abortion and contraceptives on demand: that is their goal. They will do anything to make it happen, including coercion, breaking the law, underhanded deals, and dirty politics. It is time to fight back. I do not want to live in a communist country. That, of course, would be no problem for Planned Parenthood…they would end up on top in a communist regime. Just think of what could happen in the next 50 years if pro-lifers don’t stand up against this organization! 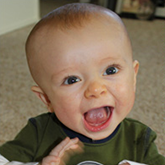 FORCED abortion…it could happen. LIMITS ON CHILDREN…another possibility. Spread this message to other people who value life. Show people what Planned Parenthood is really about. Don’t be silent! Get the word out. Go pray at a clinic. Reach out to abortion clinic workers. Only vote for candidates that clearly state they will remove funding from Planned Parenthood. This memo is real…and it is really happening in our country. This is not just a fight we have on our hands…it is a war. Let’s put on our armor. Truth still matters.